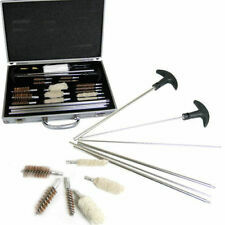 We are bringing out you a very Popular dragonhawk tattoo kit. 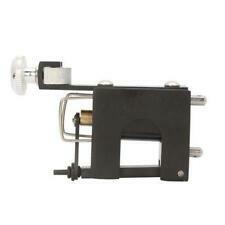 1/ 4 pcs tattoo machine. 10/ 25 pcs small Tattoo Ink Cup. 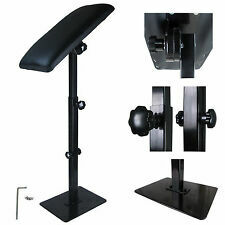 11/ 1 pcs Tattoo Ink Cup Holder. 19/ 1 Pairs Latex Tattoo Gloves. Tattoo Power Power Box 6 months. 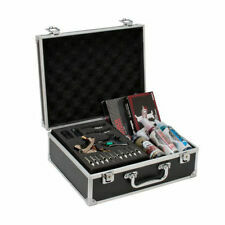 5/ 1 Set 54 bottles full colors tattoo ink, 5ml/bottle. All inks are positive colors and sterilized by gamma ray, relable to use. 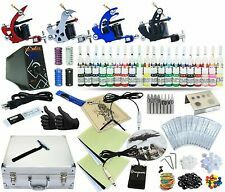 1/ 4 Pro Tattoo Machine Guns for Liner and Shader. 6/ 50 Pre made sterile tattoo needles, assorted mixed size. Natural henna paste cone. Natural Henna paste. the henna dry for overnight. 1 x henna paste cone. No Chemicals - No ppd - No ammonia. - Scrap of dried paste (Do not wash it off using water!). Natural White. Unless you have really huge arms these should fit comfortably cause they are stretchable. Material: Nylon 92% Spandex 8%. These sleeves are cold water washable and best if left to air dry. Warm Remind. Type:Body Paint. NOTE: the product in the picture maybe larger than actual one. hope you could understand. Color: Black. High quality in EU and US quality standard. Tattoo sleeve give the illusion of a full arm body art tattoo, cool and fashionable. Material: Polyester. Size: 42cm/16.54". Suitable for cycling, outdoor sport, etc. 1 x Anesthetic Gel. 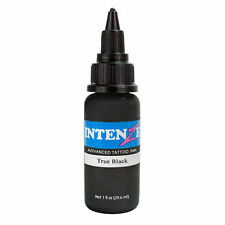 Apply a thick coat to area of procedure, eyebrows, eyeliner or lip liner. Wait for 2-3 minutes before procedure. Effectively relieve pain. FOR EXTERNAL USE ONLY. For External Use Only. Tattoo Paper is perfect for creating your own custom temporary removable tattoos. 1 DIY Tattoo Decal. Tattoo face down on skin. Peel the corner of the Tatto gently to check if it has transferred. If not, press down and wet again. Clean with skin with mild soap and water to remove dirt and debris, then put on a pair of gloves before handling the henna tattoo paste or cream. Prepare the product according to the manufacturer's recommendations and use the applicator to draw the design onto the skin. 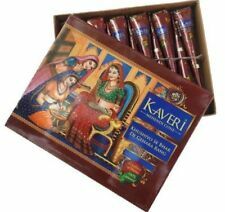 For best results, use thick layers of henna paint to allow the skin to absorb the dye. Let the henna sit for approximately 15 to 30 minutes before peeling it off or placing it under running water. Do not rub the cream off the skin, as this can lighten the tattoo. To prevent fading, apply lotion or moisturizer to the area on a daily basis and cover it with Vaseline before venturing into a chlorinated pool. Round liner needles, which are represented as RL on the packaging, are ideal for outlining the design. Round shading, or RS, tattoo needles are great for shading or colouring in between the lines of the RL outline. Stacked magnum, or M1, needles are best suited for blending and shading in smaller areas, while round magnum, or RM, needles can colour in larger areas without placing a great deal of pressure on the skin. 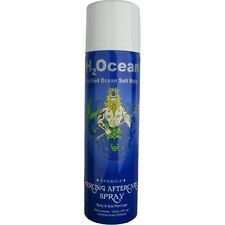 This makes them a great choice for those with sensitive skin or if the tattoo is being placed in a sensitive area, such as the inner elbow or back of the knee. Flat tattoo needles are recommended for shapes and intricate shading, like creating a perfect square or star pattern.